The gentleMACS™ Dissociator is a benchtop instrument for the semi-automated dissociation of tissues into single-cell suspensions or thorough homogenates. A single sample or two samples in parallel can be processed. 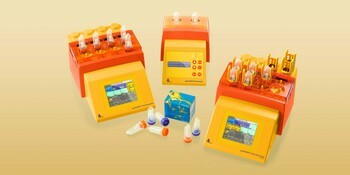 Two types of unique gentleMACS Tubes used with the instrument enable the time-saving and easy dissociation or homogenization of tissues in a closed system. The instrument offers optimized gentleMACS Programs for a variety of specific applications. Special protocols have been developed for various tissues. The standardized tissue dissociation or homogenization procedures make for reliable and reproducible results. For higher throughput and even more flexibility see also the gentleMACS Octo Dissociator. For fully automated tissue dissociation browse the gentleMACS Octo Dissociator with Heaters. An optimized method for the manufacture of a dendritic cell–based vaccine for translational glioblastoma research. Nava et al. (2013) MACS&more 15(2). Get your research off to the right start. 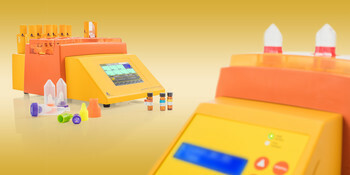 Rely on excellent sample preparation with the gentleMACS Dissociator family.